Graduated with a bachelor’s degree in physical therapy from the University of Minnesota in 1981. She was certified by the International Academy of Orthopedic Medicine (IAOM) in Europe and the US for orthopedic manual therapy in 1989, and became an international instructor for the IAOM in 1994. At that time, she also received recognition as a specialty instructor in manual therapy by the German Physical Therapy Association. Valerie became a Board Certified Orthopedic Specialist through the American Board of Physical Therapy Specialties in 2003. She is a Fellow in the American Academy of Orthopaedic Manual Physical Therapists. In 2011, Valerie earned her terminal professional degree, Doctorate of Science in physical therapy, from Texas Tech University Health Science Center. Along with being the founder and current education director of the IAOM-US, she delivers courses and lectures in the USA and Europe. 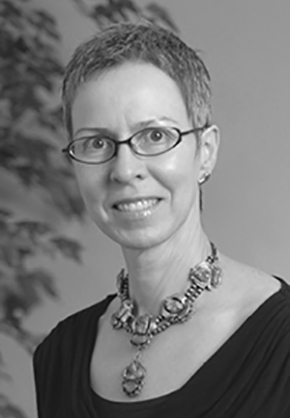 Valerie has co-authored books, book chapters, and numerous peer review journal articles. She is the founder and practice director of employee-owned advanced physical therapy in Anchorage, Fairbanks, the Mat-Su Valley, and the Kenai Peninsula.